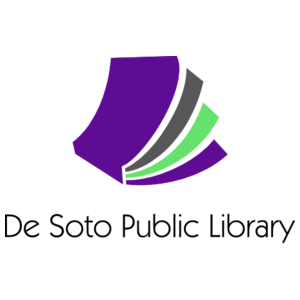 The De Soto Public Library has been serving the De Soto community since 1935 and is supported by a tax voted by those residing in the city limits of De Soto. It is governed by a board of nine individuals appointed by the Mayor of De Soto. Currently the library collection consists of over 29,000 items to include books, audio books, DVD’s, magazines, and microfilm. The library also has a collection of local history, pictures, and genealogical materials. Over 5,000 people have library cards and are active users of the library. We joined the Missouri Evergreen consortium February 1st, 2016. Come in, meet the staff and check out a book by your favorite author!